Shortly after the drop of Major Lazer’s hit “Cold Water”, DJ Snake drops his own track featuring Justin Bieber and there’s no doubt it’s going to soar through the charts. This is the third single from DJ Snake’s anticipated album, Encore and was written in collaboration with Bieber, William Grigahcine and more. DJ Snake’s addictive beat makes you want to move, whilst Bieber’s crooning will make you feel all kinds of emotional. It’s the perfect combination. We know absolutely nothing about enigmatic cross-genre artist The Hour – and that’s just the way he/she/they want it. Still, if this slice of minimal, neo-soul production is anything to go by, there’s plenty to look forward to from this one. The West London collective’s most recent track “A List” is reminiscent of their banging debut single “In2”. Possibly a tad too familiar, although we’re not complaining. The song features that same addictive old school R&B melody that’ll make you want to break out in song. On a mountain. In an all white outfit, for some reason. The Canadian artist recently released his second studio album titled PARTYNEXTDOOR or P3 for short. The third single, “Don’t Know How” makes us think that we don’t know how this track got so fire. The song’s hard hitting beat is contrasted by some wonderfully melodic keys hypnotisingly playing in the background. Bon Iver is teasing fans in anticipation of their new album, 22, A Million, to be released in September. Doing what they do best, the track unsurprisingly fuses their indie folk and electronic style, creating a hybrid of folk music meets Imogen Heap. 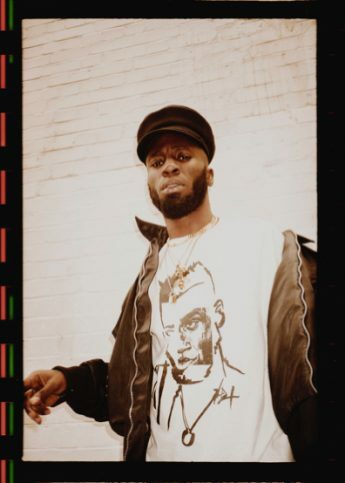 Gaika shouts ‘In a state of emergency’ in his track “3D”, which perfectly sums up the vibe that’s oozing out of this energetic song. The chaotic electro beat will certainly wake you up this Monday morning. Gaiko’s music is inspired by Caribbean dancehall fused with trip-hop and grime, and it definitely comes across in “3D”. Featured by Wonderland way back in 2014, Raye is certainly climbing her way to the top. Her latest single titled “I, U, Us” is from her new EP aptly titled “SECOND”. A break-up song not to mess with, the video was directed by fellow English powerhouse Charli XCX. Electronic/pop singer serves bittersweet sound in his single “Still Love”. Catchy and upbeat with a hint of longing, the beat matches perfectly with Krrum’s soulful voice.